Homeowners can learn about the basics of rooftop solar energy in this free seminar from SunWork. SunWork is a nonprofit that helps homeowners that have low electricity bills (typically less than $100/month) take advantage of solar energy affordably. Our volunteer model enables SunWork to save homeowners about 30% compared to other commercial options. We make small solar affordable. 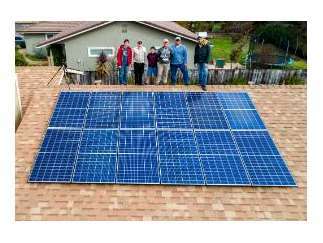 In this free seminar, you'll gain an understanding of the economics of solar, the technology options, how you get credit from PG&E for energy that you send back to the grid with net metering, and solar purchasing tips.